The Government of Fiji's Procurement Office under the Ministry of Finance is currently extending its invitation to overseas companies to bid for Government Tenders. This exercise is aimed at attracting vendors with quality products and excellent services that will boost competition within our local market. For further information and to view current tenders please click here. The Government of Fiji has declared a "State of Natural Disaster" following the devastation caused by Cyclone Winston, the Category 5 hurricane that ravaged through the Fiji islands last weekend and caused extensive infrastructural damage, with thousands losing their homes and more than thirty lives. The Fijian Government has appealed to the international community for assistance and support for recovery and rehabilitation efforts for the affected communities. The Government is currently undertaking a detailed assessment of the damages caused and also identifying the specific needs and priorities to be shared with Development Partners and friends. In order to have a focused coordination of relief assistance that meets national needs Government is requesting that offers of assistance other than cash be deferred until a clear list of the Government’s needs are identified. Vinaka vakalevu and we look forward to your kind support towards rebuilding our Island Home. 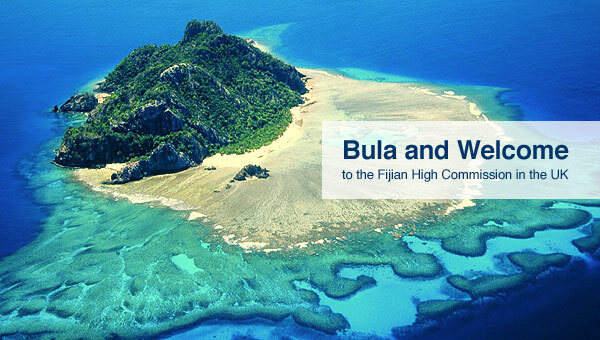 Stay up-to-date with the Fiji High Commission on Facebook.